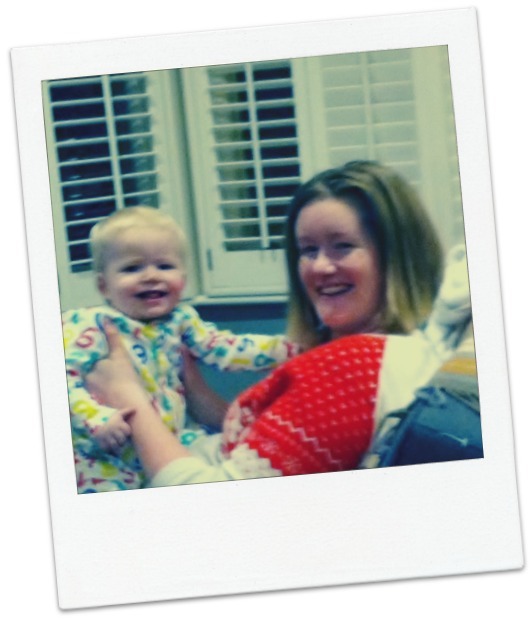 My pregnancy was planned for a long time, and sailed by in a buzz of baby shopping, scans and antenatal classes. We were so excited to be having a baby boy and had even moved house in preparation. We were settled. Sorted. All this changed, less than 24 hours after our son was born. We had a very long and difficult labour, followed by a petrifying emergency C-section. My son was here, and safe, and for that I will be eternally grateful. But little did I know how things were soon to unravel. We were in the High Dependency Unit, a few hours after my husband was sent home in the middle of the night, when I had my first psychotic episode. It's hard to describe "psychosis". I have very vivid memories of some things, and absolutely no recollection of others. In a medical sense on that first night I presented with catatonia. The midwives on night duty could not rouse me, and I was unresponsive. At first the doctors thought I'd had a massive stroke. In my head, I had no idea who I was, where I was or what was happening to me. I did not know whether I had had a baby, a husband, a family or if this was all some cruel nightmare. I was convinced that I was about to die, that my heart was about to stop, my belly was going to explode. In my head, I saw the midwives don surgical scrubs, in preparation for dealing with the body. They drew the curtains because (I thought) they didn't want the other women on the ward to see me die. They were collected around my bed whispering about why I was not dead yet, and getting annoyed with me for taking so long. Eventually, after some hours, I "came around". I started to recognise my husband when he arrived, and later that day I was moved to a side room under the supervision of a psychiatric nurse. While I struggled with sleeping, and breast feeding, I was just desperate to get home. My family wanted us home too, so we convinced the hospital team that my psychotic episode was a one-off event and that with a lot of family support we could manage better at home. Sadly, we were proven wrong. A few incredibly stressful days later, we ended up back in the A and E department of the hospital, begging to be seen by the same kindly psychiatrist who had seen me earlier in the week. He swung into action and arranged a bed at our local(ish) Mother and Baby Unit. I was technically a voluntary admission, but I felt this was my only chance. I was primarily desperate to sleep, and to take the burden away from my husband and family. I was also (psychotically) worried about the physical health of my son - I was not capable of looking after him (so I thought) and at least at the psychiatric hospital there would be doctors and nurses on site. My son was whisked into the nursery that first night, where he was looked after by the staff. And I was shown into my little bedroom, my belongings itemised, the lack of hooks or door handles or proper bedlinen oh so painfully evident. Things had to get worse to get better. Turns out I was still fighting a postnatal infection, and my psychosis was only just ramping up. At various points during that first week, I again thought I was dying, that I was trapped on a gurney being driven to a crematorium (actuality: I was on a stretcher, in an ambulance), that I was somehow going to suffocate to death in my room. I became fixated by panic buttons. I was convinced all the staff were trying to trap me in some way, and so I refused to eat or sleep. I had hit rock bottom. But, it soon proved, psychiatry works! I was treated with sedatives and antipsychotics. And rest - lots and lots of rest. I didn't have to worry about my baby, but I did know he was there. As I got better (after about ten days), I gradually started to do some of his care. The MBU staff were incredibly patient with me, giving me the chance to do as much as I felt able to. As the psychosis receded, it was replaced with sadness. I struggled to come to terms with what had happened, and I felt so guilty at how I had failed my son and my husband. Again, the MBU staff were great here - nurses took the time to sit with me in my room, no one batted an eye if I burst into tears in the middle of Strictly Come Dancing. And I was encouraged to take part in group activities, or at the very least spend a little time in the communal areas rather than hiding in my room. I can pinpoint the turning point in my recovery. It was in the middle of a session with the unit's child psychologist (who helped mums and babies bond together, and kept an eye on the babies' development). She had a gentle, calming air and she encouraged me to actually look into my son's eyes and smile and laugh with him. Before that point I had never even seen him as a little person. I had struggled anxiously with every nappy change, every bottle feed, every bath time. But here we were, smiling at each other. I cried some happy tears then - my baby was going to be ok! My family was going to be ok! I was going to be ok! It took many more weeks of confidence-building in order to be well enough to be discharged home. But we did get home, and life since then has gotten better and better. I learned how to mother and love my son and he has become the centre and light of my life. Having gone through such an acute illness makes me grateful for what we have, and in some ways has given me added strength. When the worst thing has already happened to you, and you have survived, what is there left to fear?